J.G. Public School, Jaipur is a co-educational institute affiliated by Central Board of Secondary Education(CBSE), New Delhi. J.G. 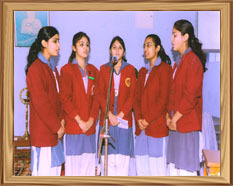 Public School, Jaipur is an English Medium school founded in the year 1995. The School is run by Janta Bal Vidyalaya Samiti, the organization which is running many educational institutions since 1962. J.G. Public School, Jaipur works on the motto “WORK IS WORSHIP” as believes that teachers are like bridges to the students who will help them in passing all the challenges in life. The teaching of the teacher will always save the child from collapsing. The school always encourages the children to come up perform which helps the children in producing great academic results.